transits | QuantumPhoenix.net – Esoterica, Paganism & Ritual Magic. What are transits- squares, oppositions & Trines (in astrology)? I often mention these astrology terms.. and always give an explanation of what it’s going to do..how those squares, trines etc are going to influence s people.. But it occurs to me, some people may be puzzled, put off by me using such terms.. So here’s a quick one to de-mystify you. 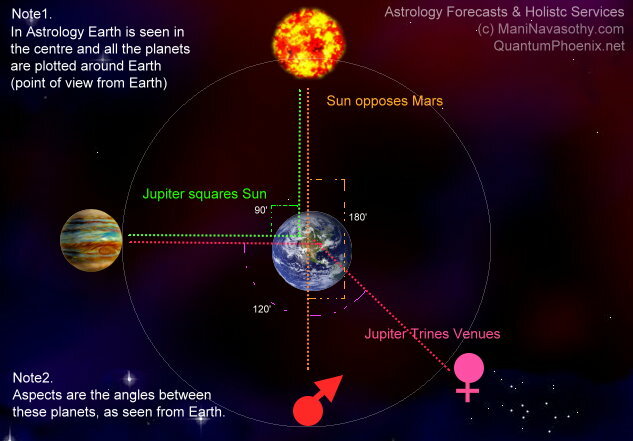 It all makes sense if you think of the Earth as being at the centre and all planets around it.. And the aspects are just what angular relationship forms between those planets.. (they are moving all the time..so will form different angles). ps. 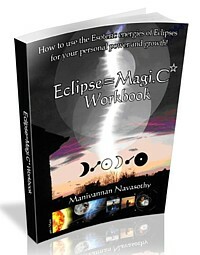 Visit my Eclipse Magic site to get insights, free training & even a Book on Beginners Guide to Eclipse Magic NOW. Limited time Free offer!! The triple Eclipse set is over, so is the 3rd phase of the Uranus-square-Pluto (4 more to go between now and 2015!).. so is everything going to be okay now? Well, the good thing about cycles…of planets circling around the Sun .. is that whatever challenging astrological transits that are going on will clear up, as planets move on..and they will form much more harmonious and helpful aspects. The bad thing – cycles have a way of repeating! Not quite in the same way, but they do! Here’s what’s going on at the moment with the Planets — their movements through signs and how it may affect those signs! Mercury moved into Cancer on 31st May – so Gemini’s & Virgo’s will feel a shift now, perhaps even getting sensitive. But along with it may come intuition and maternal or nurturing instincts (Cancerian qualities). (Gemini’s have had mercury in their own sign for a month.. but that huge positive boost now reduces..and hopefully Gemini’s made use of it and stocked up!). Cancerians will get the influence of Mercury – so they may start to (already) feel their mental faculties sharpening up – new agreements or contracts may surface.. as will lines of communication, commerce and short distance travel. Mercury retrograde – warning for all- This starts on 27th June and goes on till 21st July.. So during that we all should take extra care- Back up hard drives, clarify agreements and don’t fuel arguments or mis-communications.. (during that time!) During that time, Cancerians may experience those kind of effects more…so do watch out for depressive thoughts. Remember – Cycles! It will turn upwards afterwards! Of course Libras & Taureans – ruled by Venus are going to get the energies of Cancer rubbing on them! On 26th June, after a year of being in Gemini (and giving Geminis a lot of new landscapes, opportunities, wisdom, expansions and such) ..jovial Jupiter leaves Gemini…and enters the sign of Cancer! And it will stay there for a year now! So this is a big shift for Cancerians.. coming up at the end of June.. And all those qualities I just mentioned are going to be at the doorstep of Cancerians.. Yes, it’s going to be one brilliant month for Cancerians…that will start off a brilliant expansive year for them! Well, if all that `Jupiter is leaving, Venus is leaving, Mercury has left’ news is making Gemini’s rather down.. you shouldn’t! Mars entered Gemini at the beginning of June..and will be there till 13th July’13. Mars as you know brings assertive firey energy .. to get things done! In this case, it may also bring male energy in to the lives of some Gemini’s …in one form or another…perhaps with it some natural sexual urges! 😉 Sudden developments are likely when Mars in Gemini sextiles Uranus (I’ll say more about transits in another blog. So tune in again next week ). On 7th June’13, Neptune, currently transiting through the sign of Pisces (Neptune rules that sign) starts to go retrograde..and will do so for a few months to come (till 14th November’13). This is not going to be an easy 5 months for Pisceans. 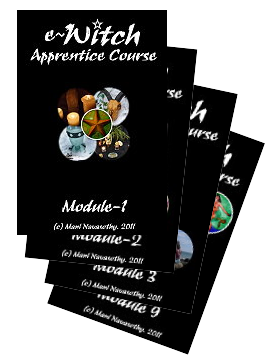 At about the same time, factors that have the Neptune rulership in the world (oil, the human dreams & collectives, escapism tendencies, secret addictions ) are going to get that focus! Saturn continues to be retrograding through Scorpio. So Scorpios should be focusing on the lessons in life.. or the Saturnian task master will be making your lives hard indeed. Capricorns ..ruled by Saturn will be continuing to have a trying time.. that is actually working to go deep and transform some underlying layers of their personalities, behaviours, and experiences. Stay with it.. This hard phase will be over by mid-July (Saturn goes direct on 8th July 2013)! That’s about it for this blog. Here’s a thing – of you are worried about what’s been going on or what’s about to go on.. astrologically, feel free to contact me.. with any questions you may have…and I’ll see if I can shed some astro-light on your situation. My promised monthly forecasts did not materialize after mid-January 2013 (let’s just say I was at the mercy of those very aspects!) I hope to resume the regular forecasts soon… But first, it’s useful to all to look back at the stellar landscape of stressful aspects and transits. Why only the stressful ones? Well, no one worries about the positive enhancing stuff, but the difficult days of your lives tend to linger in your minds for a long time.. and giving it perspective allows you to understand and let go of it.. Note 1. Which aspects: Only aspects of semi-square & Square are shown, as in my view, they tend to create the most internal stress (which can flare up a person or situation and create external conflicts). Note 2. Which signs? Letters in bracket (Aq, Scorp) refers to the signs where those two planets are. Note 3. Who does it affect? Remember that any transits/ aspects will influence all of you.. albeit a particular sector of your life (home, wealth, romance, work, social etc). 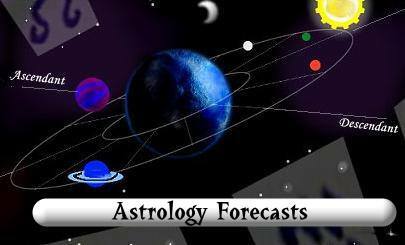 But the aspects will be felt more intensely..by the people whose zodiac signs are directly involved in the aspects, as well as the zodiac signs that are ruled by the planets involved. I’ll indicate this next to each event. Note 4. Duration – The energies of the aspects `build’ a day or so before the actual aspect…so that’s when the stress may have been felt the most. 25th – Mercury square Saturn — Primarily affected Geminis, Capricorns. (Adversely influences Aquarians & Scorpios). 27th – Mars semi-square pluto — Primarily affects Aries, Scorpios. (Adversely influences Aquarians & Capricorns). Full Moon in Leo. So additional energy around for a lot of emotions to bubble to the surface. Mars & Pluto rule Scorpios… Moon rules Cancer a water sign, and as Scorpio is also a water sign, this will be a particularly hard one for Scorpios. 30 – Sun square Saturn –Primarily affected Leos, Capricorns. (Adversely influences Aquarians & Scorpios). Also Jupiter goes direct ..which is a positive change for Sagittarians, after they have been facing many a challenges for the past 4 months of many (As Jupiter has been retrograde in Gemini for 4 months, they too will have been facing challenges for 4 months!). Shifts will occur now. 31 – Mercury semi-square Uranus — Primarily affected Geminis & Aquarians. (And also affects Aquarius & Aries) . 3rd – Mercury semi-square Pluto — Primarily affected Gemini’s and Scorpios. (Also influences Aquarius & Capricorns). 6th – Mercury leaves Aquarius and enters Pisces. Gemini’s and Pisceans will start to see a major shift soon. But there is the 3-week long mercury retrograde to face between 23rd Feb to 18th March. 10th – Mars square Jupiter — Primarily affected Aries and Sagittarians. (Also for Pisces & Gemini). 11th – Venus square Saturn — Primarily affected Libras, Taureans and Capricorns. (also felt by Pisces & Scorpios). 14 – Sun semi-square Pluto — Primarily affected Leos and Scorpios. (Also for Aquarians & Capricorns). 18th – Saturn retrograde starts (in Scorpio) – This continues till early July’13. 19 – Venus semi-square Uranus — Affects mainly Librans, Taureans and Aquarians. (Influences Pisces & Aries). 22- Venus semisquar-Pluto — Affects mainly Scorpios, Librans & Taureans. (Also Aquarians & Capricorns). 23rd – Mercury retrograde starts – One of the planets whose retrograde affects not just Gemini’s (mercury rules that sign) and Pisces (Mercury is in that sign) but everyone.. Communication problems, arguments, confusions, missing documents, issues with commerce, troublesome young people etc are all signs of Mercury retrograde period. Will last till 18th March. Well, that brings us up to the present day. I’ll write up (promise) the forecasts for the rest of March’13 in a bit more detail (positive ones and stressful ones) in a day or so. Don’t panic.. There is a good thing in the horizon.. This weekend, Mercury becomes stationary..(from 3 weeks of retrograding) and starts to go Direct.